South Carolina REALTORS® (SCR) 2016 annual conference “Doing the Charleston” at the Francis Marion Hotel in Charleston, SC on September 13-15, 2016 drew a sold -out crowd of 300 Realtors®. 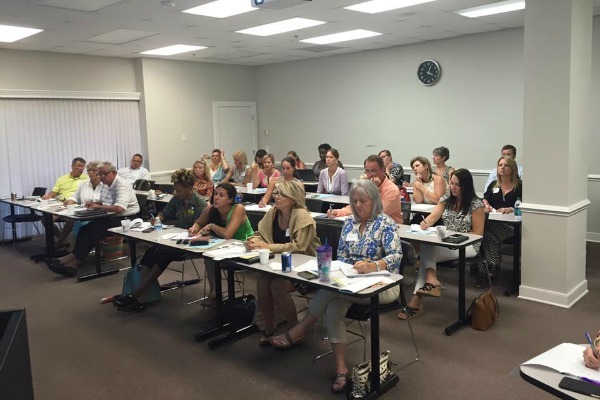 The conference was organized by the SCR Networking Committee, chaired by REALTOR® Bobette Fisher of Charleston. The event offered attendees an opportunity to network with colleagues while hearing from top speakers in real estate including the National Association of REALTORS®’ Nobu Hata; Real Estate Coach Jackie Leavenworth; renowned Realtor® Sasha Farmer; Placester’s Seth Price; Realtor.com’s Rhett Damon; zipForms®’ Neil Shellig; and Realtor® Coach Patrick Lilly among others. Education courses focused on expanding Realtor® professionalism and using the latest technology.